mbites Podcast – Corporate Blogging – PR guff or PR savvy? The mbites.com podcast this week looked at the relatively new phenomenon (at least in the UK) of corporate blogging: blogs run by firms and organisations both as a communications exercise and as a kind of customer relationship thing. We also touched on blogging ‘as publishing’. The guests (pictured above) were Tim Houghton, managing director of New Media Intelligence, and Dana Gornitzki, editorial consultant, journalist and contributor to the The Globe and Mail newspaper. Download the MP3 file below (approx 14.5MB, 15 minutes long) or subscribe to the podcast feed and download it automatically into your favourite podcasting software and/or mobile media player device (ok, iPod then) , or even subscribe direct from iTunes. 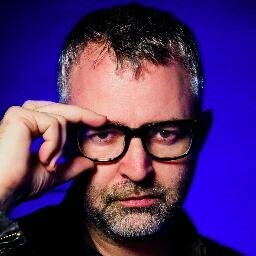 If you’d like to be a guest on the next mbites Podcast, where we’ll be documenting some of the most interesting new developments in digital and mobile media, contact Mike Butcher. This is the latest in a series of regular mbites podcasts, kindly hosted at London private members club, Adam Street.